A miter saw is probably an essential power tool you can have. If you’re only getting one this is it. For a starter size a 10” saw is enough for most DIY projects, especially because if you can slide whatever you’re cutting you can stretch that up to about 14”. Miter saws are useful for framing doorways, installing crown moulding, and installing baseboard. You can do a lot of work simple with a miter saw and a basic hammer and nails. It works by allowing you to make cuts at an angle quickly. 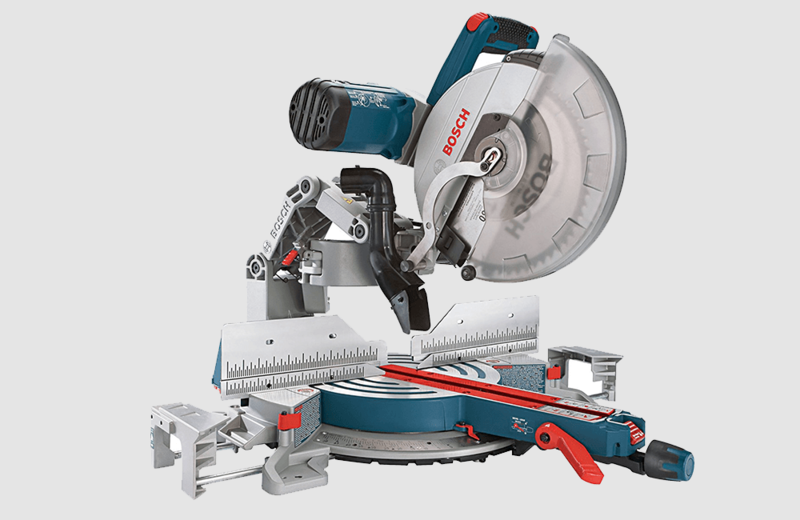 Miter saws come in three varieties – compound miter saw, dual compound miter saw and sliding compound miter saw. 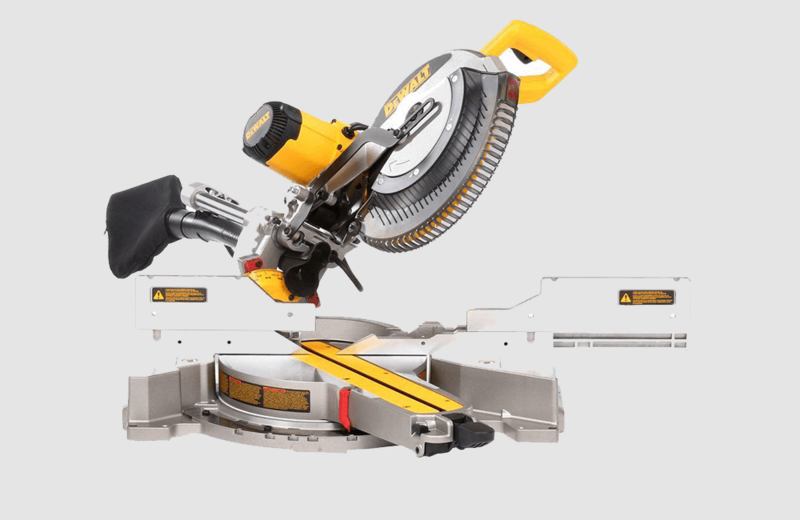 A compound miter saw has a blade that pivots in one direction left and right while dual compounds will tilt in two directions for more flexibility, sliding miter saws also have a radial arm so you can slide the saw back and forth to make a longer cut. Miter saws are ideal for cutting baseboards, and they are quite handy when you are framing doorways. 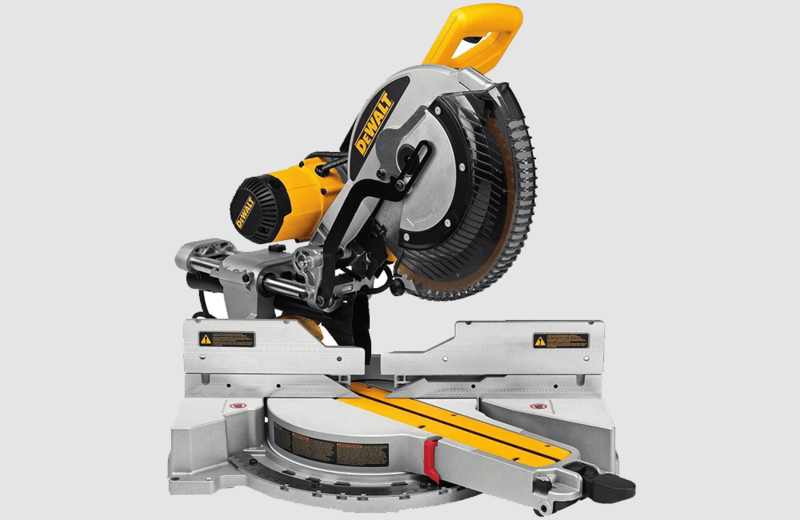 The most common models have 10-inch saws, but you can find saws of up to 14 inches, providing high power and impeccable accuracy. Core uses of a miter saw is limited to cutting of molding and trim. Wanna cut a board in half? No worries at all, a miter saw is enough for regular cuts, angled cuts, bevel, and compound cuts. Plus, while planning on making several cuts of the same length, a miter saw can undergo pretty easily and save your hassle with hand tools or a circular saw. This is how repeatable cuts are made easy.